The late 1920s saw Tranmere produce some of the club’s greatest players such as Dixie Dean, Ellis Rimmer, Thomas ‘Pongo’ Waring and Bill Ridding. All of these players are greats of the game and held up in high regard within football history. However one accolade that all of these greats missed out on was the chance to play in the World Cup. In 1930 when FIFA put together the first World Cup the FA still believed that England were the best team in the world and we didn’t need to prove it so declined to join the World Cup. This decision saw some of the greatest names in English football failing to ever get the chance to show the world just how good they were. England wouldn’t play in a World Cup the 1950. The World Cup went ahead without England and many other European teams with only Belgium, France, Romania and Yugoslavia representing Europe. 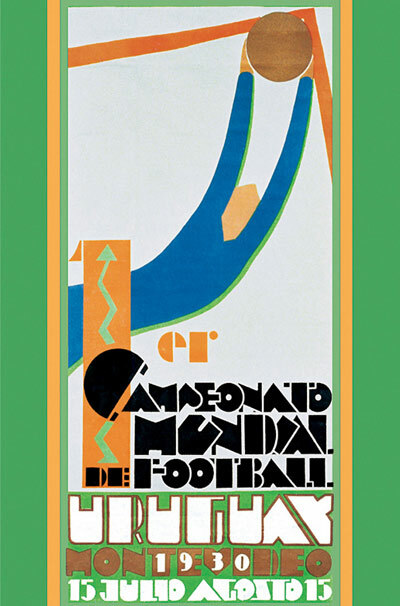 In the original World Cup teams didn’t qualify they were invited but many nations turned down the offer due the competition being held in Uruguay which even the 1930s was not an easy place to get to. With so few European teams the competition had a very American feel with the majority of the teams coming from the South America unsurprisingly. One team not from South America however was the United States team who only 18 days sail away from Uruguay took up the offer to compete in the World Cup. The US team was fairly inexperienced only playing eleven international games before the competition. The team was a mix of American and foreign born players including several from England. 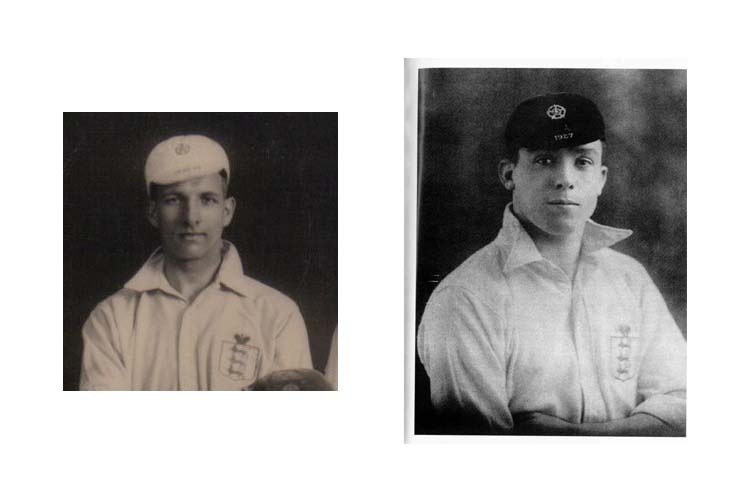 However of the English players only one had played at a professional level, George Moorhouse. George Moorhouse was from Liverpool and after the First World War thought he’s try hand at a footballing career and signed with Leeds United. 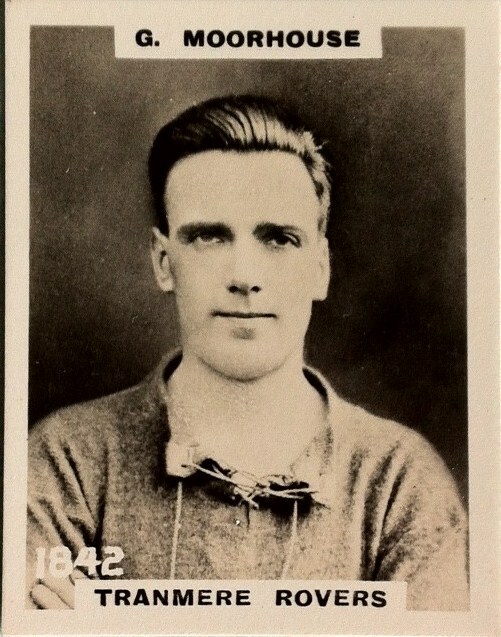 However struggling to make it into the first team Moorhouse signed for Tranmere Rovers in 1921. To say Moorhouse’s time at Tranmere was uneventful would be understatement as he only made two appearances for the first team and spent most of time playing for the reserve team. In 1923 Moorhouse emigrated to the Canada where he continued to play football for Montreal before moving south of the border to America. His time in the new American leagues would be his most prosperous as a footballer. Originally Moorhouse moved to the Brooklyn Wanderers but after a couple of months he transferred to the New York Giants where he’d spend the next seven seasons scoring 45 goals and making 250 appearances. Moorhouse made his first international appearance in 1926 when America beat Canada 6-1. In 1930 he was selected to represent the USA in the first World Cup making him the first professional English player to do so. On the opening day of the World Cup the USA team and Moorhouse took on Belgium in front of 15,000 supporters at the Central Park Stadium in Montevideo and won 3-0. The USA team then beat Paraguay 3-0 which took them to the Semi Finals were they would meet Argentina. Moorhouse who must have only ever played in front of small crowds at Prenton Park and in the American league now found himself preparing to run out to a staging 112,000 supporters in the Centenario Stadium. The game was a flop for Moorhouse and the team as injuries led to the Argentineans hammering the USA team 6-1. The USA team finished third in the first World Cup after Yugoslavia refused to play America after losing their semi final. No other USA team has finished higher than Moorhouse and the rest of the 1930 team. In 1934 the USA team was again asked to compete in the World Cup in Italy and this time George Moorhouse would captain the team. This made Moorhouse the first Englishman to captain a World Cup team. Unfortunately the American team’s first round game was against the hosts Italy who beat Moorhouse and his team 7-1 knocking them out of the tournament. 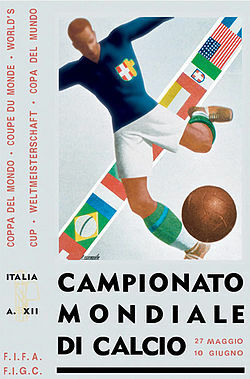 Italy went on to win the second World Cup. After his footballing career he moved to Longbeach California and became a postmaster. Sadly though in 1943 he suffered a hear attack whilst driving with his wife. Both were killed in the accident, Moorhouse was only 41 years old. Although his time at Tranmere was brief and uneventful we should remember this other great 1930s football and perhaps his achievements should be recognised at the English Hall of Fame. Every Saturday whether in the Kop or a distant away stand somewhere in the country Tranmere fans can be heard cheering on the Rovers team usually to the chant of the Super White Army. The white that Tranmere play in has now become most recognised aspect of the club. But as many may already know Tranmere have only been the Super White Army for fifty years of the club’s hundred and twenty nine year history. Way back in 1884 the Tranmere players wore blue shirts and white shorts. Why they chose blue is unclear but for nearly eighty years Tranmere were the blue army. 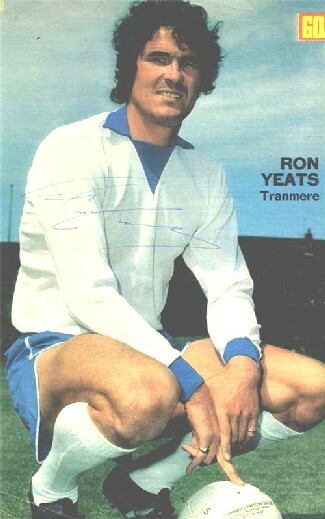 There was an early attempt to change Tranmere colours to a somewhat bizarre kit combination. In 1889 Tranmere played in maroon and orange shirts, navy shorts and white socks. 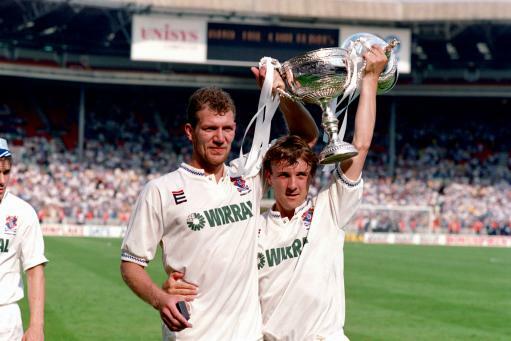 Although Tranmere won their first silverware in the kit (Wirral Senior Cup) the design never really caught on and Tranmere reverted back to blue and white combination. The blue shirts of Tranmere Rovers became an important symbol at the beginning of the 20th Century as their biggest rivals of the day Birkenhead FC played in red. For a decade the battle between the red and blue sides of the area took place with Tranmere being the victor in 1910 as Birkenhead FC folded. Some of the biggest moments in the club’s history took place in blue shirts. In 1921 Tranmere played their first Football League game in the newly created Third Division in blue, their first filmed game against Chelsea in the 1930s was in blue and their only league title was won in blue. Tranmere however were not the only team to play in blue and white in the Merseyside area. Everton had played in the same kit for even longer than Tranmere had and the two kits were identical in black and white. Even Liverpool who played in red shirts and white shorts looked the same as Tranmere in black and white. At this time Tranmere lacked their own individual identity to separate themselves from their larger neighbours across the Mersey. One man saw this lack of identity as a major hurdle to Tranmere becoming a successful team in Merseyside. Dave Russell joined Tranmere as their new manager in December 1961 and he saw great potential in the club. His efforts in the developing a youth policy led to some of Tranmere’s greatest players becoming home grown. The likes of Alan King, Joe Pritchard, Ronnie Moore and Bobby McFarland were all products of his system. However his most recognisable contribution to the club was the introduction of a new colour scheme for the home kit. Russell wanted Tranmere to stand out against the red of Liverpool and the blue of Everton, so he chose an all white kit with the club badge making its first appearance on the shirt. 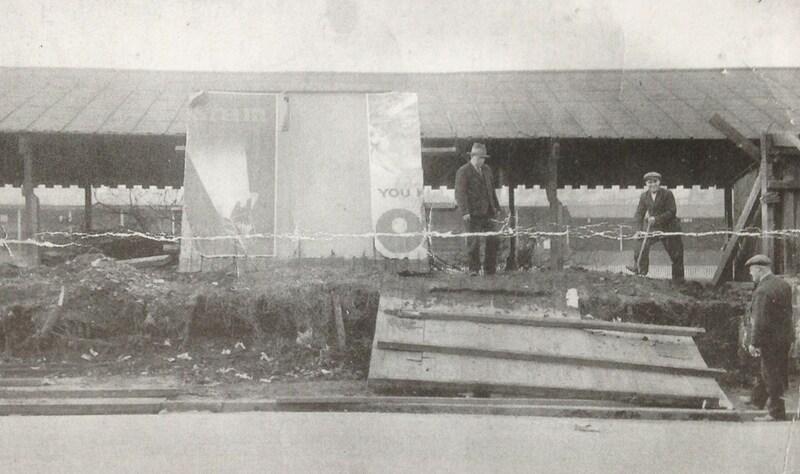 This new image would start the rievival of football at Prenton Park as Russell guided Tranmere out of their 1950s slump. With an almost none existent budget Russell managed to secure the quality players such as Barry Dyson, John Manning and George Yardley. He even managed to secure the services of the Everton legend Dave Hickson. 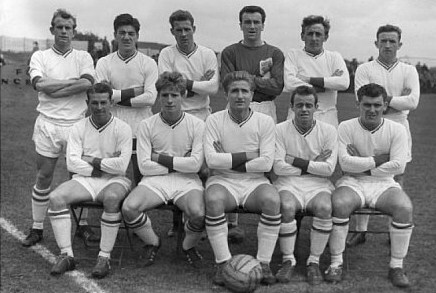 The new players and their new kit made their debut in the 1962-63 season with the hope that success would follow the new identity. However the 62-63 season would be better remembered not for the goals scored or Tranmere 6-1 win over Hartlepool, no instead its remembered for the snow. In the winter of 1962 and three was one of the worst in recorded history with snow lying on the ground for months. This played havoc with the fixture list for many weeks with few games taking place across the country. 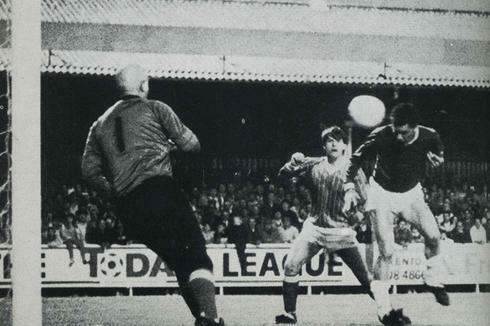 One game it was decided should go ahead in the Third Round of the FA Cup as Prenton Park played host to Chelsea. As this was the only game to take place that weekend the BBC came up to Prenton Park to give the Super White Army their first appearance on Match of the Day (it was called Sportview then). With their new kits and identity Tranmere were going to be given the opportunity play one of the biggest teams in the land on Television. In their all white kits and on the snow covered pitch at Prenton Park Tranmere held Chelsea to a 2-2 draw and a replay at Stamford bridge. The new all white identity and the class signings of Russell saw Tranmere spend the next few seasons finishing in the top ten only just missing out on promotion. But in 1967 Tranmere finally rejoined the Third Division and under Russell saw a great period of success for the new Super White Army. When we think of great Tranmere games of the past most will bring up the classic 4-3 win over Southampton or St Yates day when Rovers beat Everton 3-0 at Goodison Park. In the pursuit of trophies and promotion Tranmere has played some great games. One game however was not only one of its greatest but also one of the most important in the club’s history. In 1987 the Tranmere team walked out onto the field at Prenton Park knowing it could be last Football League game the club played. During the early and mid 1980s the situation at Tranmere was dyer with trouble in the back office and falling attendance. All of this impacted on the team as the best players were sold on to cover the debts and morale around the club being at an all time low. The club’s very future was on the line as there was no guarantee that Tranmere could fight their way back into the Football League if they were relegated. The 1986-87 season could have been the final nail in the coffin of Tranmere’s most difficult periods. The previous season Tranmere had fought a long relegation battle but just managed to keep their head above the water even with Osterman trying to wind the club up. The 1986-87 season appeared by Christmas to already feel like a relegation battle with Tranmere only notching up a handful of points. 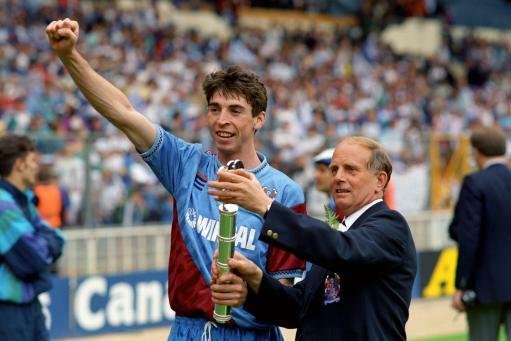 By March Tranmere were thrown a lifeline as Peter Johnson took over the club and Tranmere legend Johnny King was put in charge. However the legacy of the rest of 80s couldn’t be solved over night and Tranmere still struggled to get the points which would secure their survival. After drawing with Wrexham on the 4th May it became clear that Tranmere’s survival would be decided on the last game of the season, a home fixture against the mid table side Exeter City. Going into the game Tranmere did not have a full starting eleven of professional players with the likes of Camden and Edwards both being non contract. Tranmere had lost 1-0 when they visited Exeter and some felt the writing was on the wall for Rovers. Tranmere were to play their final game on a Friday night which has traditionally always seen a bumper attendance. However this also meant Tranmere would have to wait for the results of the Saturday games involving Burnley, Torquay and Lincoln City to know their fate. On May 8th as it stood Tranmere needed to win simple as, a draw wouldn’t be enough to save the club. Seeing the peril the Wirral club was in attendance at Prenton Park was its highest all season, with the game being delayed 15 minutes to allow for everyone to get in. 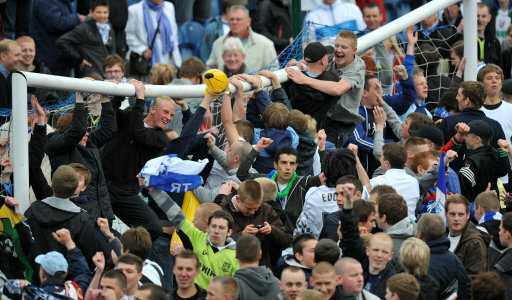 When play finally got under way the crowd’s anxiety was rubbing off on the Tranmere players who clearly were nervous. This led to mistakes allowing Exeter the opportunity to take the lead, however Tranmere just about held them off. By half time the score stood at 0-0 but Tranmere didn’t seem likely to score on their current performance. It’s not known what Johnny King said to the team at half time but what ever it was it worked as Rovers came out a completely different team. Full of confidence and fire Tranmere began to create opportunities which saw them test the Exeter keeper. Although Tranmere had increased their attacks they still hadn’t scored. With less than 15 minutes to play Tranmere were desperate, they had to score! Muir ran the ball down through the Exeter players before crossing the ball into the box. Champen made a run and took his marker with him leaving plenty of room for Gary Williams to head it into the back of the net!!!! The crowd exploded but soon settled as the clock showed that Tranmere needed to hold this lead for 12 more minutes to stay in the Football League. The Tranmere defence fought hard and kept Exeter out and when the referee blew the final whistle the crowd roared and invaded the pitch. The players headed to the directors box and celebrate with the crowd. On Saturday due to the results of the teams surrounding Tranmere they would have survived with just a draw. From this season Peter Johnson and Johnny King took Tranmere to promotion out of Division Four and so began Tranmere’s rise.